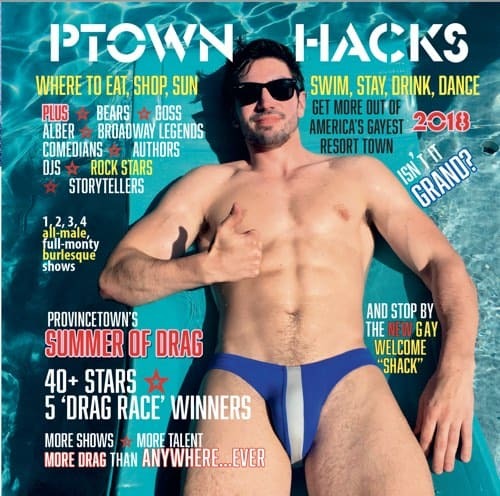 This year’s Ptown Hacks 2018, the insider’s guide to America’s top gay destination, Provincetown has something special…free stickers. A few local artists and a few local businesses with design we admire let us create stickers with their work. The results are above and include great work from Mark Adams, Paul Rizzo, and James Frederick. Logos from the Provincetown Business Guild, Crown & Anchor, and Strangers & Saints. 12 stickers in all for your enjoyment. Get them free in printed copies. Print your own. Send a SASE for a free set or buy some to help cover the cost and share with friends. We are not printing more of ARTSTICK1, so get them while you can…and watch out for ARTSTICK2 next year! 1 Pick up a printed copy in one of the 100 venues (restaurants, guest houses, airport, hotels, shops) that have them. 3. Get professionally printed stickers (12 stickers per set). One set Free if you send us a Self Addressed Stamped envelope. 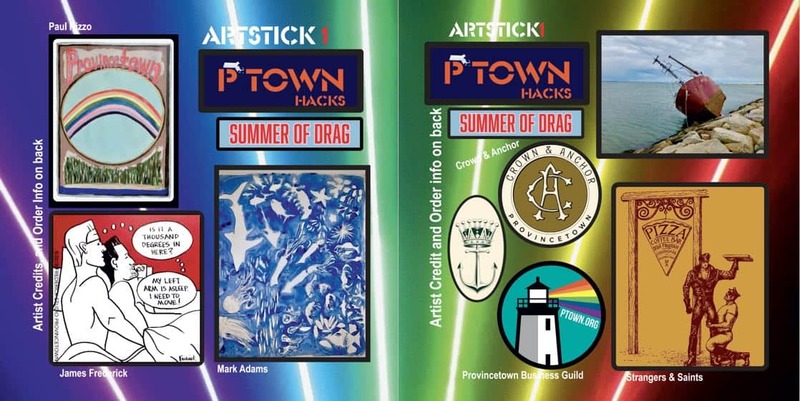 Address and details in download of Ptown Hacks.